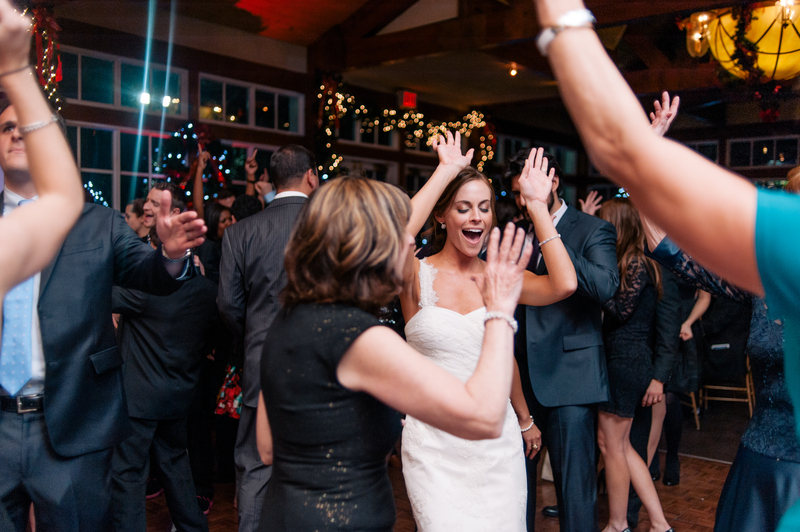 Elizabeth & Tim's Wedding DJ Playlist | See their music selection! I would highly recommend A Perfect Blend Entertainment to any bride planning her wedding! From our very first conversation, David was friendly, open to our ideas, and completely professional. He really took the time to get to know us as a couple and understand our vision of the reception. He responded to emails promptly and answered all of our questions, even taking the time to Facetime a few weeks prior to the big day to make sure everything was covered! The attention to detail was so refreshing and reassuring – especially to a busy bride! 🙂 We had a number of our guests comment on what a great job our DJ did in keeping the reception moving, fun, and upbeat. The dance floor was full the whole night, and I’ve already referred A Perfect Blend to multiple friends. My husband and I could not be more thrilled with the quality of services we received from A Perfect Blend – 100% satisfied and would recommend their services without hesitation!